CX - Race dates have been set for next year's races. I will add race flyer or website links as they become available at this location, and also at COLORADO CYCLING, where you can also find a list of 2013 Colorado cycling events and races. Race flyers will be added as discovered, updates will be made as needed. See the full race calendar at the BRAC website for Colorado, or find the pro and national cyclocross race calendar at USA Cycling. 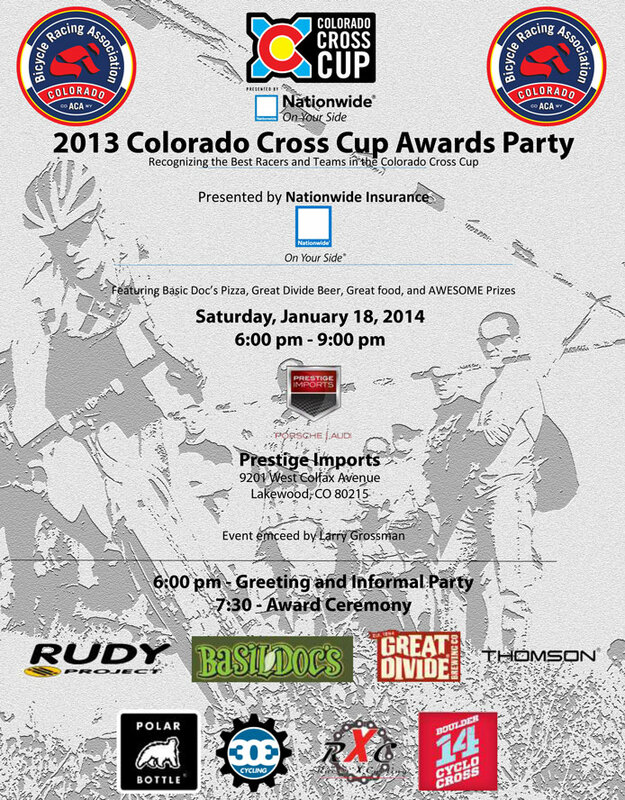 Update 01.07.14: EVENT GUIDE 2014 USA Cycling Cyclo-cross National Championships. Your guide to the race by Pedal Dancer. January 29-31, 2014 - UCI Masters World Championships. 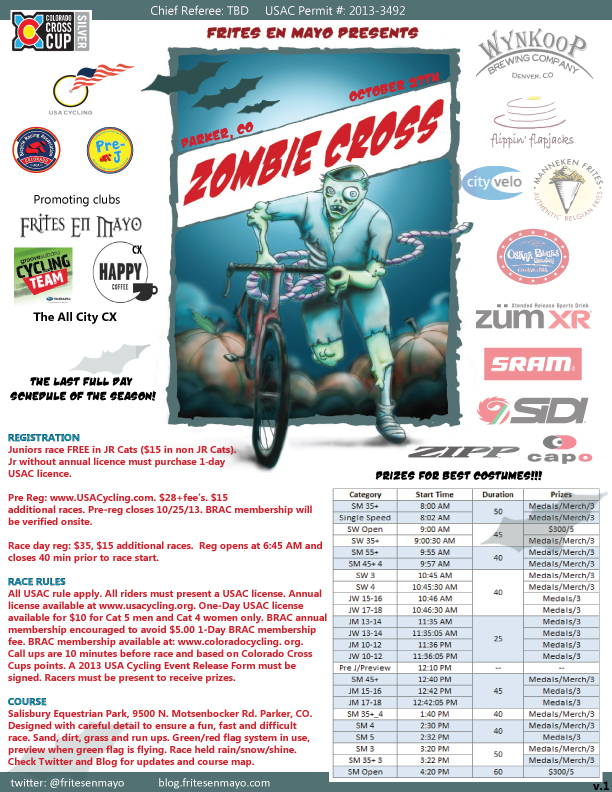 2013-2014 UCI Cyclocross Race Calendar Released, By Cyclocross Magazine. All national and international UCI CX races listed. To get you in the mood for cyclocross, this photo of the day is from Denver, Colorado, where the snow is again falling softly outside. Most of us have big rides planned within 3 months, although beautiful and restful, this much snow makes me wonder how I will ever be in shape again by early June. Heavy wet spring snow makes great snowmen. A happy sight in the neighborhood. 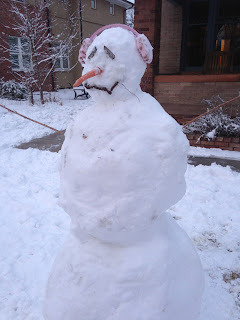 Related posts by Pedal Dancer: Colorado Cyclocross Championships, a fun look at the sport of cyclocross. Also a cool slideshow of pictures from the day at the race by Pedal Dancer®: slideshow (with dramatic music. Gotta have fun with this sport). Update - September 2013: I regret that I will not be volunteering my time every weekend to come out and photograph and write about the weekend cyclocross races in Colorado this year. I look forward to attending just a few, including the Gold races, the Boulder Cup races, and CX Nationals in Boulder in January 2014, to witness the excellent level of sportsmanship, skill, and competition. And hopefully - fun.